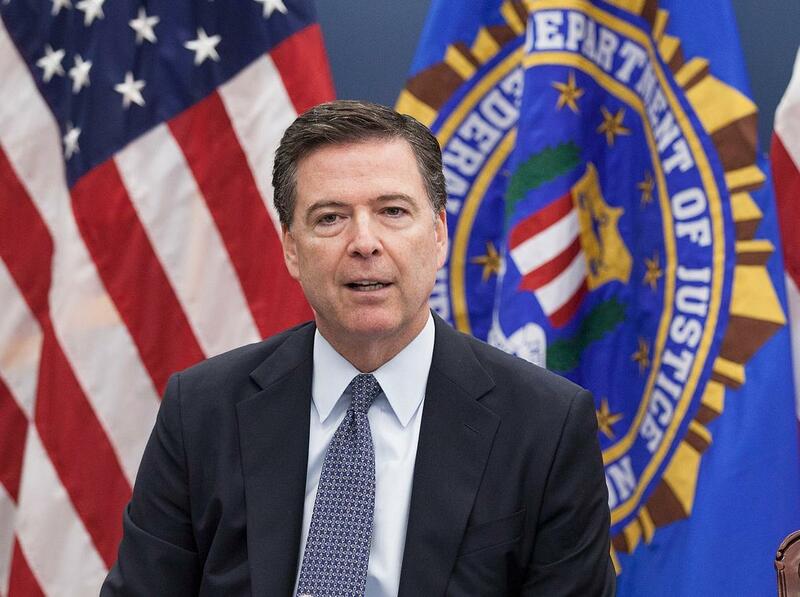 Former FBI director James Comey will speak in Charlotte on March 26 for a Queens University Learning Society event. Rather than fade into the background after his 2017 firing, former FBI director James Comey has become a highly-visible critic of President Trump and what Comey views as the president's attack on values. Ahead of a visit to Charlotte, Mike Collins talks with Comey about his outspoken views on the Trump presidency and more. This program originally aired Feb. 27. As FBI director, Comey hoped to keep politics out of his work. But since his ouster, Comey has been an outspoken critic of the president, calling him "unethical, and untethered to truth." Comey recently called on voters to turn Trump out of office in 2020. "My concerns about the president's moral actions — his behavior as a human being in terms of his constant lying and his attacks on the rule of law — have only deepened," Comey told Charlotte Talks. Ahead of a sold-out appearance in Charlotte as part of Queens University's Learning Society, Comey joins Mike Collins to discuss the Trump administration, the controversial Hillary Clinton investigation and more. Queens University of Charlotte's Learning Society is hosting Mr. Comey at the Belk Theater on March 26. The event is sold out, but more information can be found here.